Bank Square Books and Savoy Bookshop & Café would love to donate to every cause we get a request for, but due to the multiple requests we receive each month, it is not always possible. 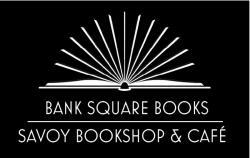 Bank Square Books donates a large amount of inventory and gift cards every year to local causes dear to us and our customers. If you'd like us to consider donating to your organization, we ask that you please fill out the attached form and return it to either of our bookstores. You may also email your request to bsb@mysticbooksinc.com (Bank Square Books) or savoy@mysticbooksinc.com (Savoy) with Donation Request in the subject line. Please allow one week for us to process your donation request. We will call the number listed on this form when we have made our decision.